Universal Bracket with included inserts for Bosch, Deatschwerks and AEM fuel pumps. Additional inserts available for fuel filters, fuel pumps etc. 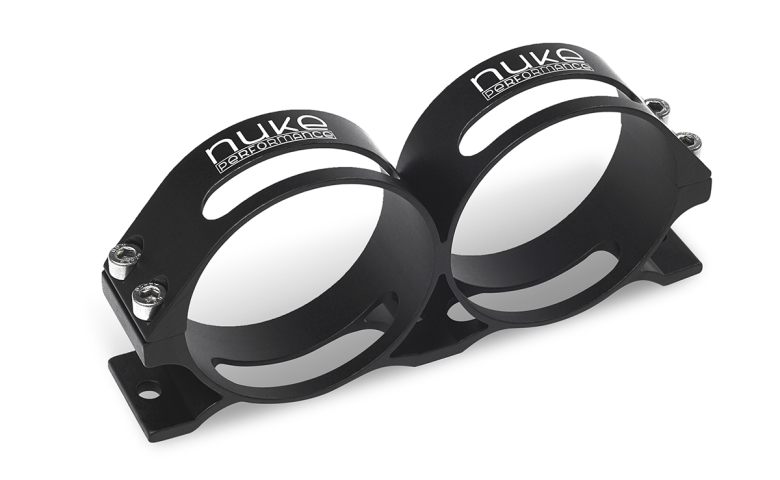 Extremely low weight and high durability, bracket for all kind of motorsport usage. Used when you need to rely on the installation when pushing your car beyond limits. 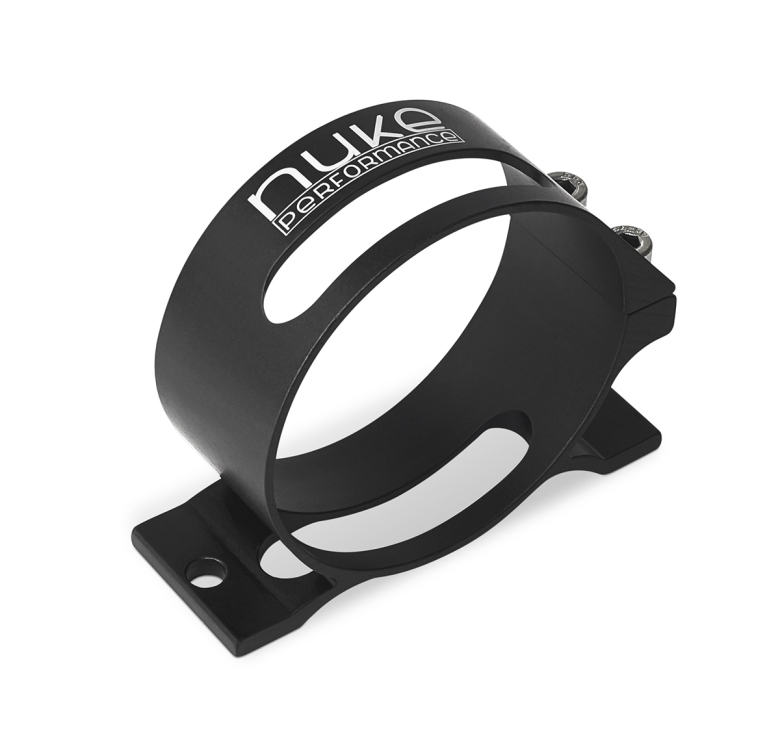 The Nuke Performance universal bracket was designed specifically for motorsport, racing & high performance vehicles. Use with our 4P Fuel Log to make a unique and clean installation bringing two fuel lines into one. The design and finish gives a very clean and unique appearance. 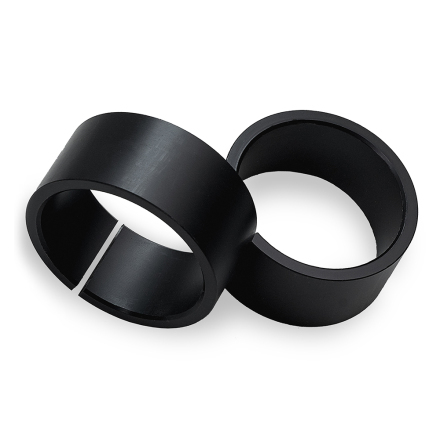 The bracket is anodized for a long lasting, corrosion-free appearance. 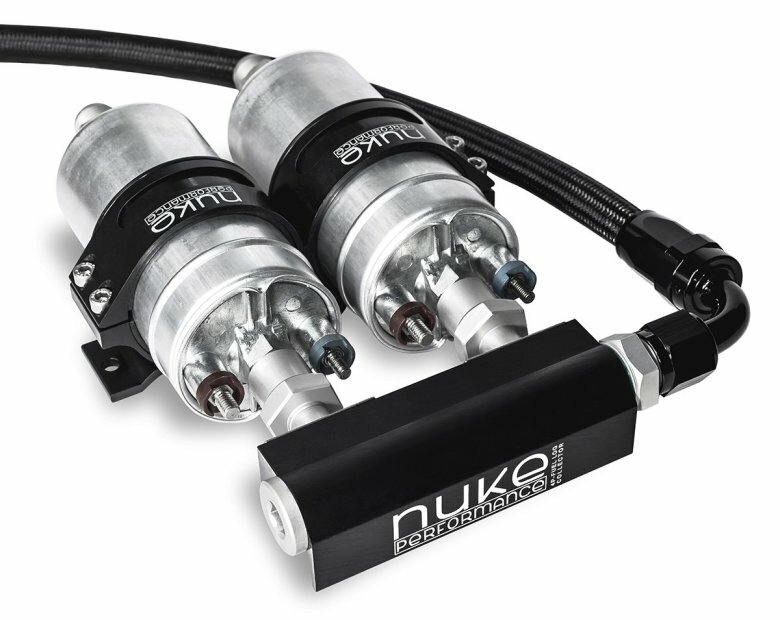 It is designed and manufactured to handle extreme amounts of power with the same hallmark as all of our performance products. The bracket comes with one (single) or two (dual) plastic inserts for Bosch / DW / AEM fuel pumps, other inserts are available etc. Walbro, Nuke Filter Slim. • Inserts made from Plyoxymethylene "POM". • Stainless steel bolts for long lasting finish and function. * All measurements excluding the supplied or optional inserts.